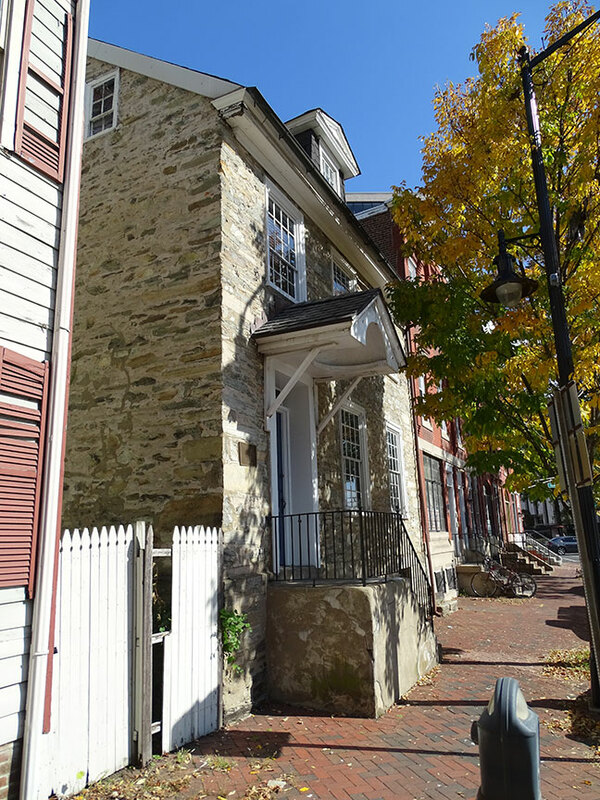 Located at 312 West State Street, in Trenton, New Jersey. The Lon/Lat coordinates of the historical marker are N 40° 13.367', W 74° 46.512'. 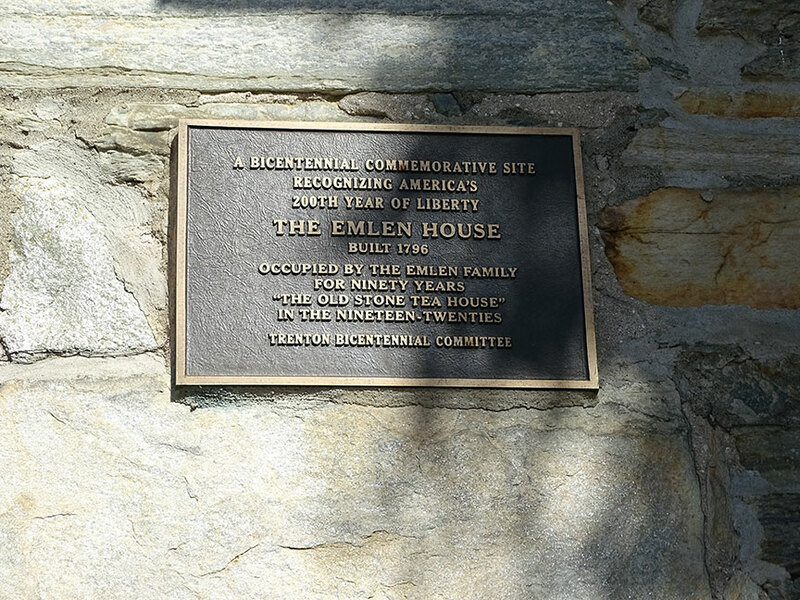 According to the plaque on the front of the house, it was built in 1796 and occupied by the Emlen family for 90 years. In the 1920's it was known as "The Old Stone Tea House". An architectural firm is the current occupant. 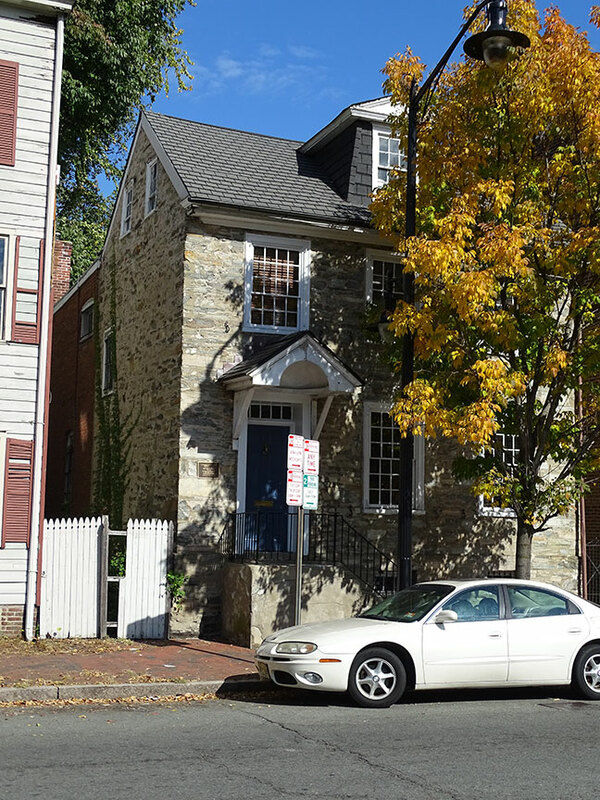 So far I haven't been able to connect this house with any known descendant of George Emlen I. The 1840 Federal Census shows a "George Emily" living in Trenton. The 1870 city directory for Trenton shows George living on "W. State, cor. Calhoun", which matches the location of the Emlen House. In the 1850 census the name was spelled "George Emley". From the 1860 census onward the name is "George Emlen". George could be a descendant of William Emley, born 1648 in Blyth Parish, Nottingham, England and died 1704 in Burlington County, New Jersey. There were many Emley descendants living in New Jersey and some of them may have changed their name to "Emlen". If anyone has any insight to this family, please email me.